This is a great desktop item and attention-getter. 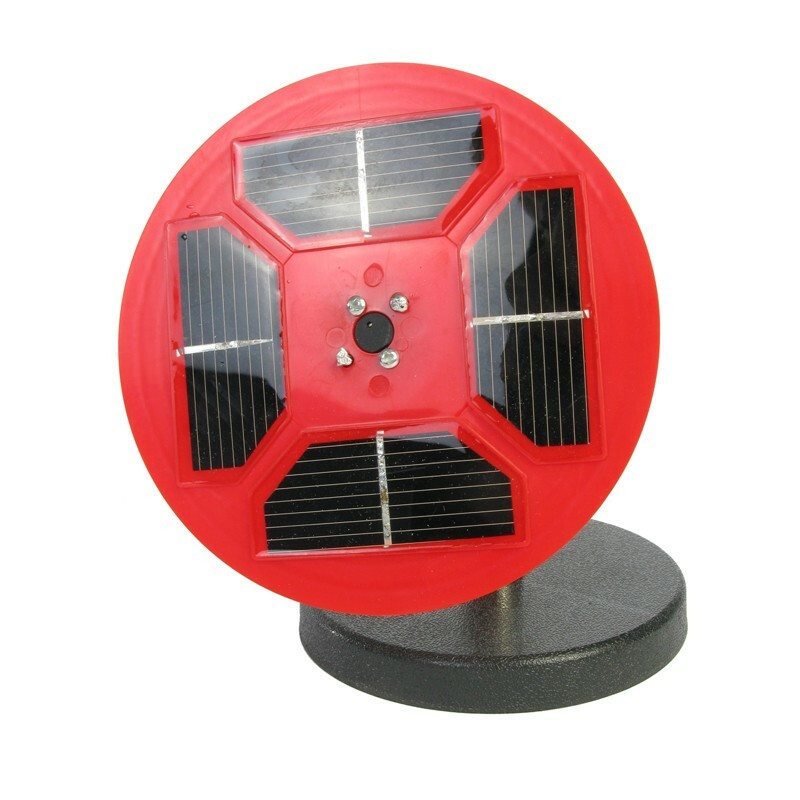 Four powerful solar cells are mounted on a revolving disk and motor. This in turn is mounted to a plastic stand and base. Watch as the entire disk, solar cells included, begin to whirl around when the unit is placed in the sun. Instructions provided. (5" x 4-1/4" x 5-1/2"; .5 lb).